On February 16, 2018, Lithuanians all over the world celebrate the birth of a new Lithuania. This date is like a bridge between the old Lithuania born on July 6, 1253 and the new independent Lithuania restored on March 11, 1990. Had it not been for February 16, there would have been no events of 11 of March, nor the subsequent success story. 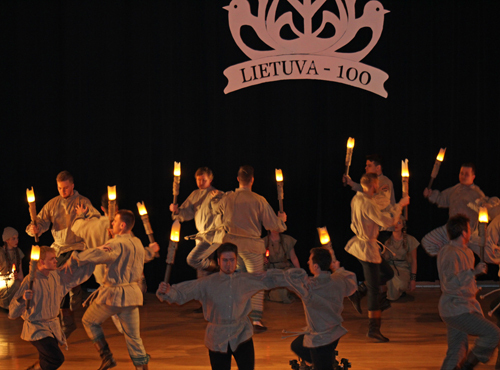 The Centennial of the new Lithuania is a success story. The main achievements are as follows: Lithuania has become a player of the European and world history, with its modern civil society aware of the importance of freedom and the responsibility that goes with it, and with new emerging vistas for action for the Lithuanian state and its people. 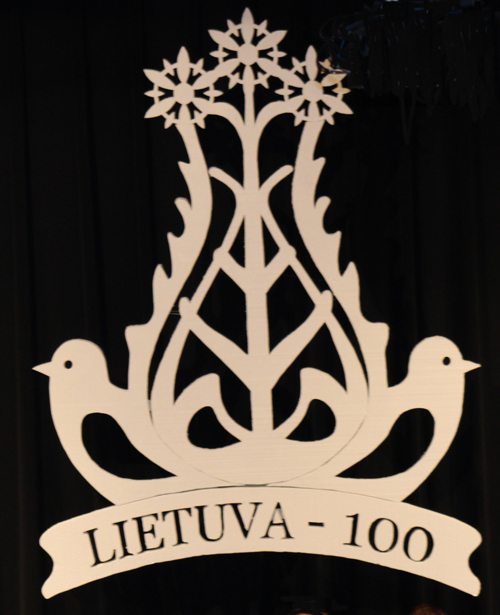 On February 17, 2018 members and friends of the Lithuanian communities of Cleveland, Toronto, Montreal and more gathered for a beautiful and meaningful ceremony at Cleveland State University. 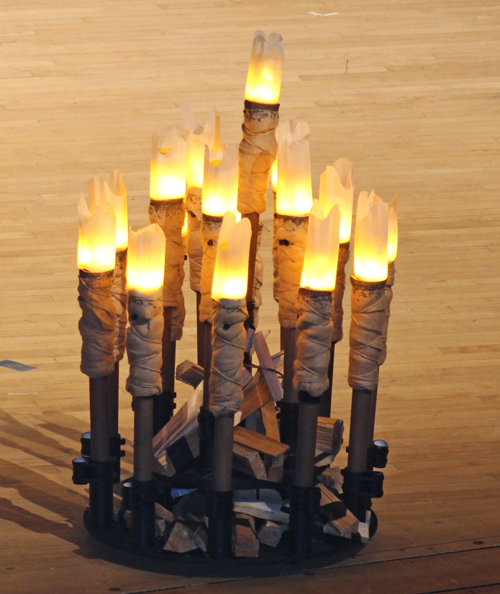 The opening ceremony featured Gabija, the spirit of the fire in Lithuanian mythology. A video of the signing of the Declaration of Independence of Lithuania on February 16, 1918 was then shown. The opening ceremony continued and featured the national anthems of the United States, Canada and Lithuania. Next, video messages were played from Dalia Grybauskaite, President of the Republic of Lithuania, Rolandas Krisciunas, Lithuania's Ambassador to the US and Mexico and Ingrida Bubliene, Honorary General Consul of the Republic of Lithuania. A slideshow was shown portraying Lithuania as seen through the eyes of Children with their drawings. After dances from Gintaras and Svyturys and a brief intermission, the program resumed qith Sveikinimai - Greetings from Lithuania American and Canadian Leaders. Video messages were played from Sigita Simkuviene, President of the Lithuanian-American community, Kazimieras Deksnys, President of the Lithuanian-Canadian Community and Algis Gudenas, president of the Cleveland Lithuanian-American Community. Then this video was played titled 'We are all Children of Lithuania'.